Athletes who compete in the FIS Ski Jumping Continental Cup were welcomed by excellent conditions. 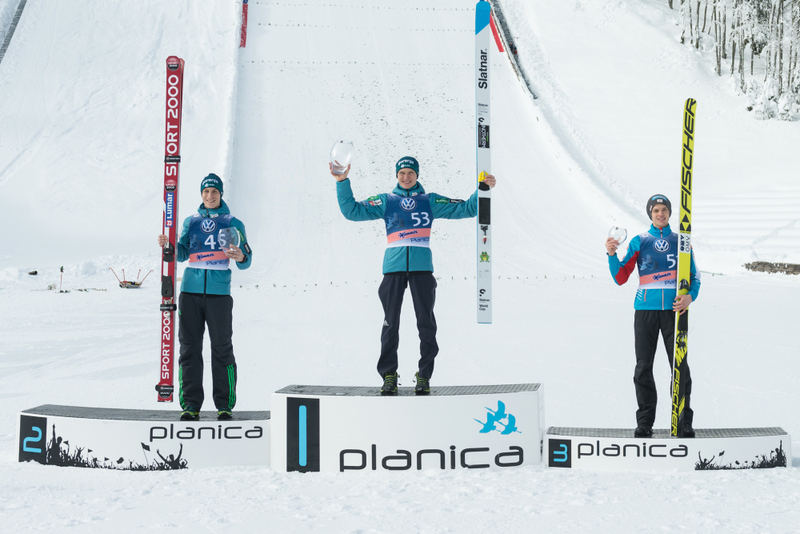 Planica hosted the 16th race of the season, again with 54 competitors from 12 countries. The highest place on the podium was once again reserved for Anže Lanišek. 134.0 and 130.0 meters gave him 267.5 points and an 8.7 point advantage over he’s teammate Jurij Tepeš who took second place (132.5 & 129.0 meters). Austrian Philipp Aschenwald continued with good form and claimed 3rd place with 251.4 points (128.5 & 131.0 meters). I’m jumping on a very high level. There were some little mistakes, but overall I’m satisfied with the performance. The most important thing is that I enjoy jumping, with that I can fly far. Now I’ll continue with the COC as planned. I’m really happy because usually I have quite a few problems here in Planica. Yesterday I made a mistake with equipment choice. But these are the sort of things that happen. I’m happy that I could correct that today and proved to myself that I can be with the best. I didn’t show my best jump in the first round, I was a bit nervous. I knew that I could do better in the second round, focused on that and made a good jump. I’m happy with the result.